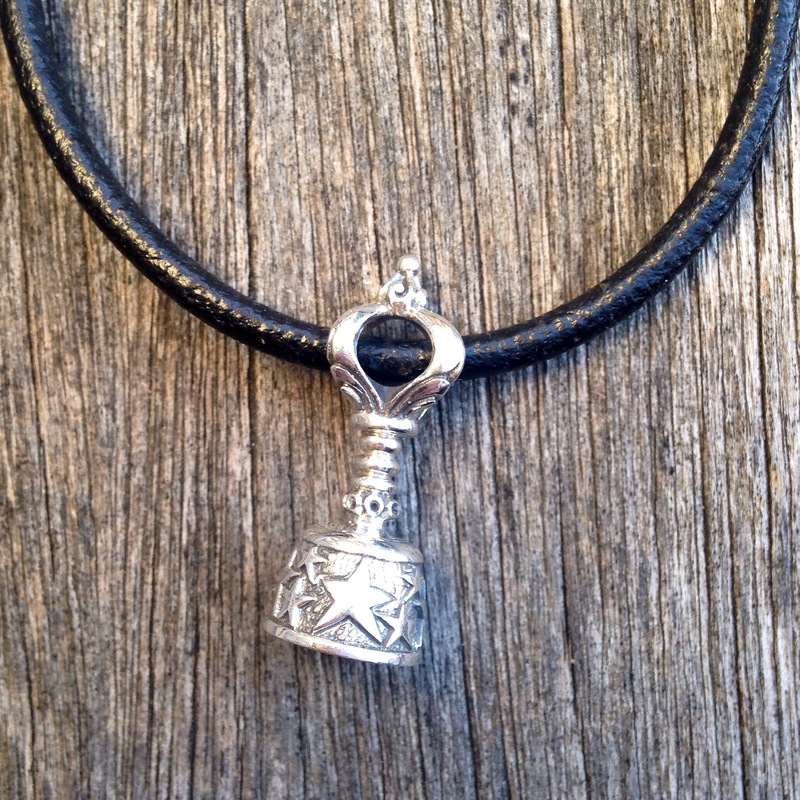 The Redbalifrog Shaman’s Bell looks great on a necklace. It does make the tiniest of tinkling noises. 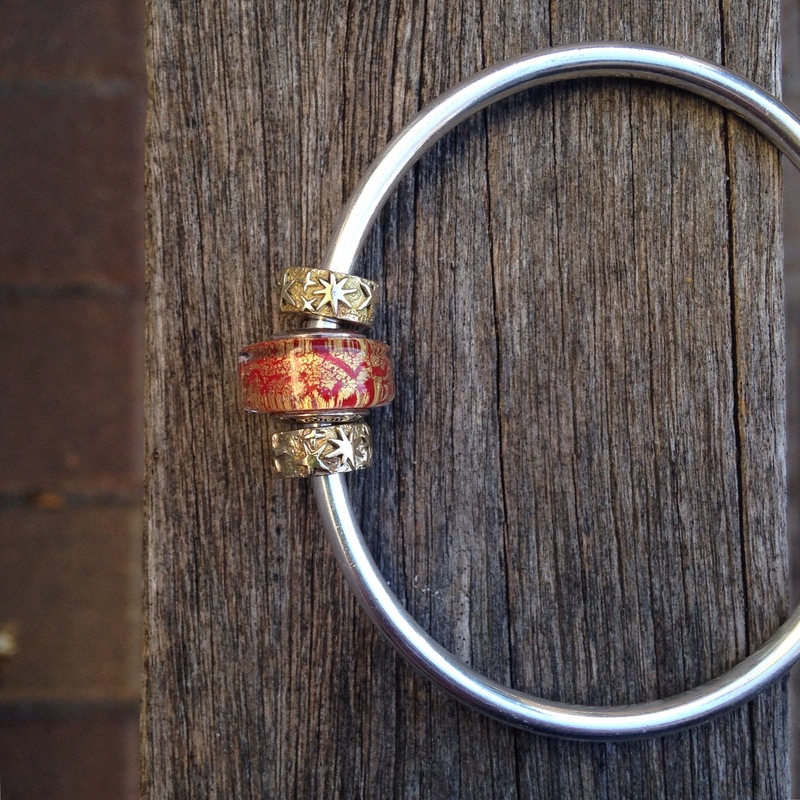 The brass stoppers give a gold effect without the cost. Here’s another look at the bell. You can see the inside of the bell from this angle. 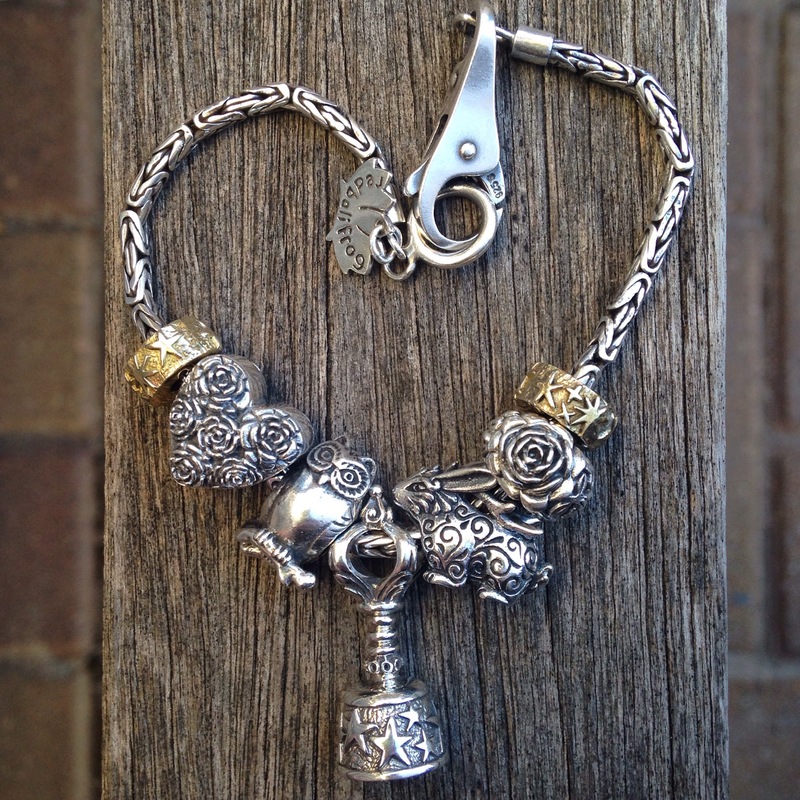 Here’s what it looks like on a bracelet. Is this on your wish list? I plan to keep it on my necklace for a good long while! 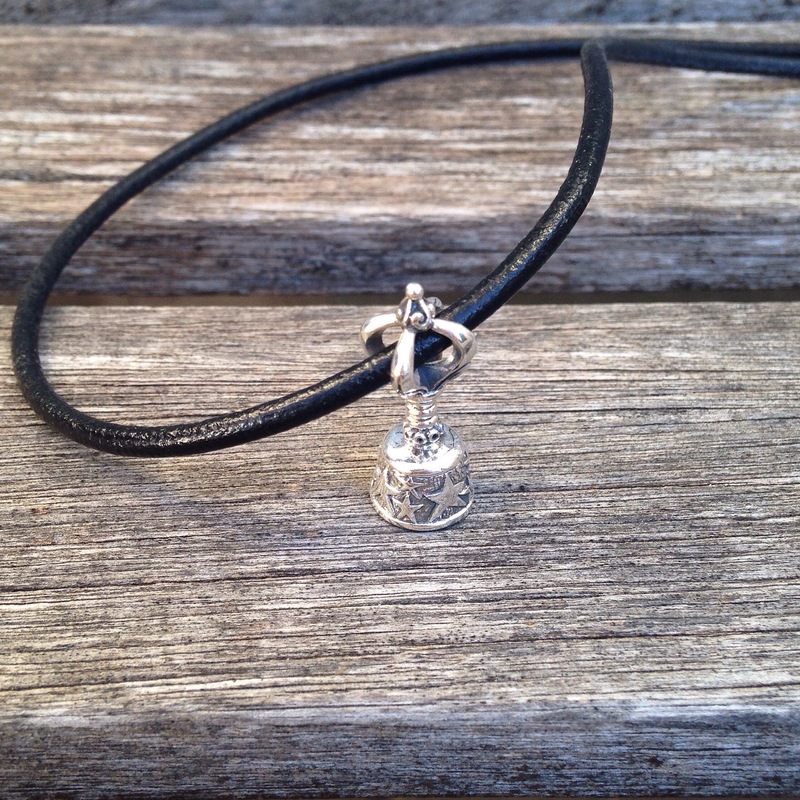 Added: a comparison photo showing the size of the bell as compared to two Pandora dangles. 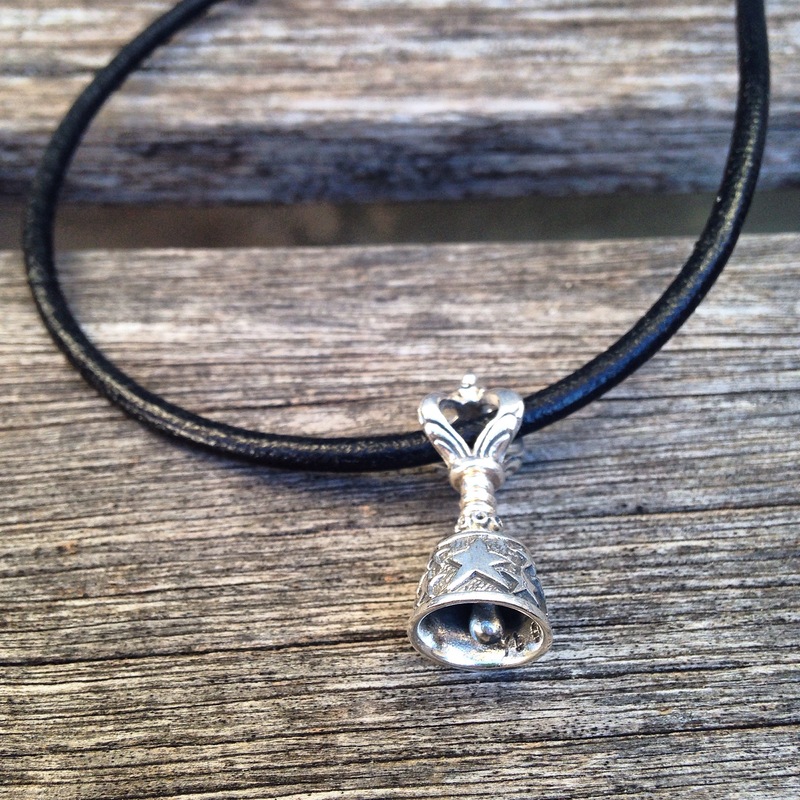 Martha, the bell looks a little bit longer than other dangles…does it feel a little bit weird on a bracelet? Cheryl, I’ve just added a comparison photo. 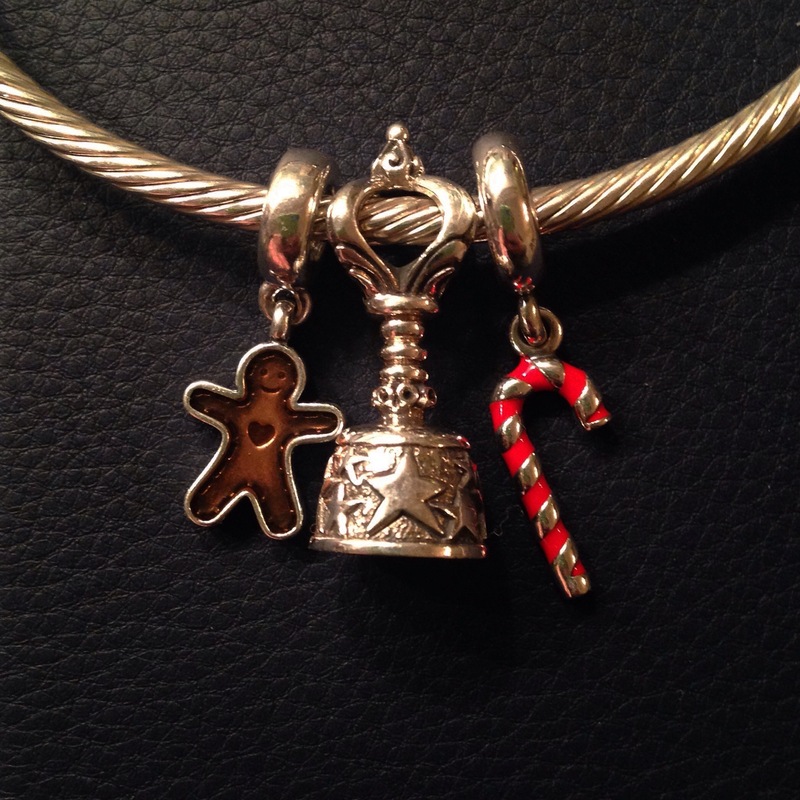 It’s actually shorter than the Pandora Candy Cane dangle. I should think it would work nicely on a bracelet! Wow, I’m glad you did that! It looked huge on its own, and beside some others but you are correct..should be great on a bracelet! Thanks! My pleasure! I’ll wear it to our next beads n’ coffee!